Bring your scrap gold, silver, or platinum to San Jose Coin Shop. We buy any amount of these precious metals, from one gram on up, in nearly any form and condition. Our owner is a trusted gold buyer with over 40 years of experience. Having worked with thousands of satisfied clients over the years, he’s become known throughout San Jose, Santa Clara, Milpitas, Santa Cruz, Morgan Hill, and other nearby areas for his accurate appraisals, honest business practices, integrity, and fair prices. Verbal or Written Appraisals Available. Fair Market Prices. Immediate Payment. If you have an outdated piece of jewelry, a broken watch, or a few pieces of sterling silver flatware, bring it in for a straightforward value assessment. As a lifetime member of the American Numismatic Association and an Authorized Dealer for the Professional Coin Grading Service, we are committed to using the industry’s best practices for grading and appraisals. 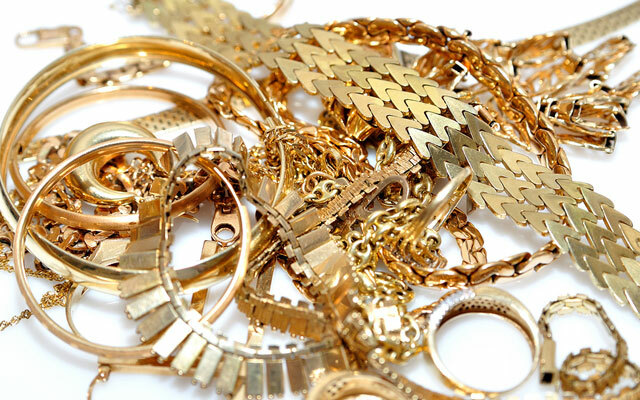 On-site verbal appraisals are always free if you are interested in finding out the value of your scrap gold, silver, or platinum. If you decide to sell your item(s), we will provide a written, detailed receipt of the sale and issue payment immediately. All of the precious metal items we buy are bought for their metal value alone, with special attention paid to the purity of the metal, its weight, and its current spot price. Though we are happy to discuss your scrap gold, silver, and platinum items over the phone, the best way to receive an accurate appraisal is to visit our shop in San Jose. No appointment is necessary to speak to one of our helpful and qualified staff. Looking at the other Yelp reviews, it appears that either you like Don or you don't. I've been in San Jose Coin Shop several times over the past couple of years and while he doesn't greet you enthusiastically, he is professional . . .